River City Art Association member Steve Harrold is on a roll! 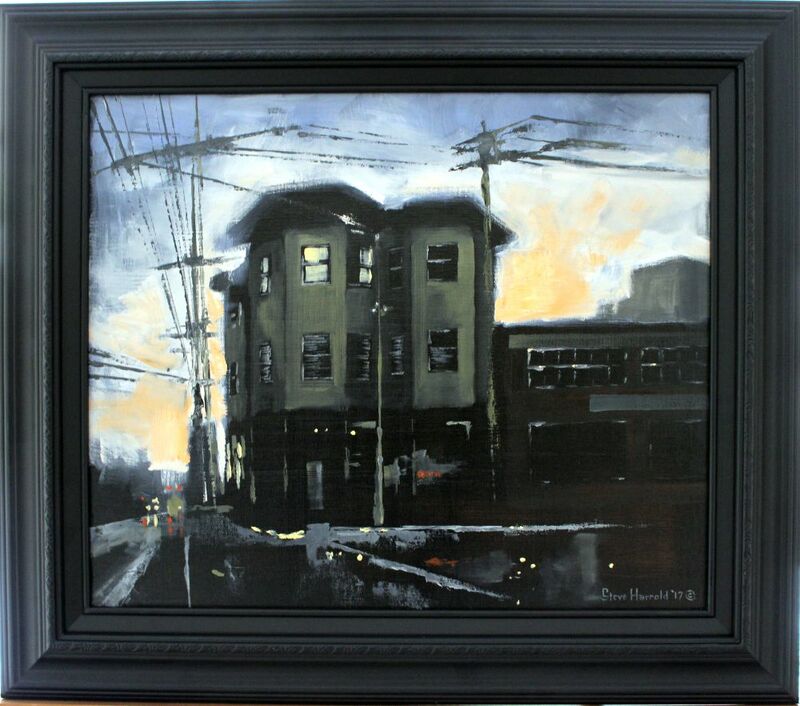 Another cityscape in a juried exhibition … and another artwork sold! The West Terre Haute artist’s “Northside a.m.” is featured in the 73rd annual Wabash Valley Exhibition that opened Sept. 1 in Swope Art Museum at 25 S. Seventh St. in Terre Haute. Harrold’s oil on canvas was selected for the exhibition by juror Graeme Reid, director of Collections and Exhibitions at the Museum of Wisconsin Art. From about 300 entries by 100 artists, Reid chose 46 works by 32 artists. Harrold’s entry will be on display through Oct. 29. So don’t miss the chance to see this one in person before it is gone. The exhibition in the Haslem and Hodge galleries on the second floor of the Swope can be viewed noon to 5 p.m. Tuesday through Sunday (open until 8 p.m. on Fridays). This entry was posted in Member News and tagged 73rd annual Wabash Valley Exhibition, artwork, cityscape, oil on canvas, Steve Harrold, Swope Art Museum, Terre Haute. Bookmark the permalink.